#WhatTheFox? There’s a new fox in town and it comes in the form of a cider! If you didn’t know yet, Apple Fox Cider is the new refreshing apple cider in town to hit Malaysian shelves. My friends (who are always the first when it comes to fun, new things) had already tried the drink ahead of me, and they are already raving about how much they love it. Apple Fox Cider contains 4.5% ABV (alcohol by volume) and this New Zealand-inspired apple cider is known to ripple your senses for its authentic and crisp refreshing taste. Each drink is made of real, quality apples that are from the heart of all natural freshness - the orchards, under the most meticulous process and best-kept secrets of cider making to produce that crisp refreshing apple taste. Just as how those bushy-tailed foxes that stealthily hunt in orchards cannot resist looking for delicious and juicy apples, there is no point resisting this alcoholic cider which will appeal to many of us who are in search of a brand with that stands for straight-up and instant refreshment with a contemporary and bold edge. As mentioned earlier, my friends are loving this drink after getting a taste and they are quite convinced that this cider is going to be their go-to cider for a distinct, refreshing smooth drinking experience whether it is for afternoon pick-ups or during a fun night out. A pro tip: Always serve this with ice because it tastes even better that way! 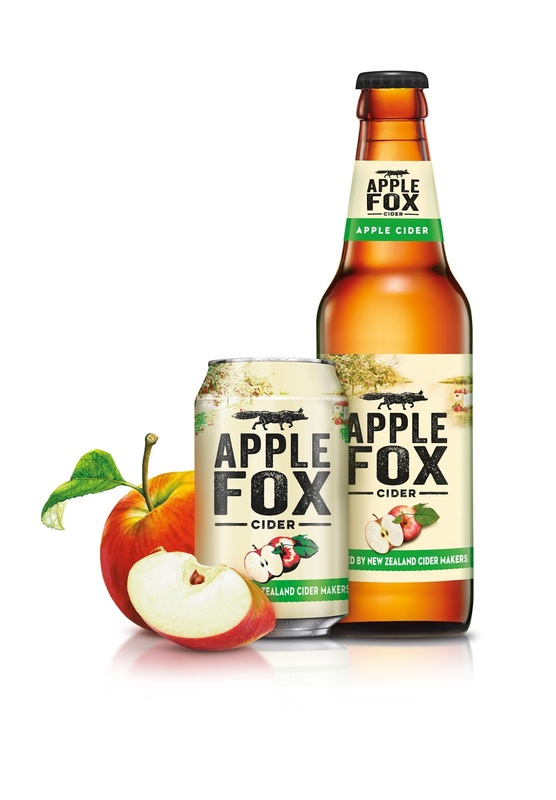 Apple Fox Cider comes in two sizes namely 320ml (cans) and 325ml (bottle). You can find Apple Fox Cider at hypermarkets, supermarkets and convenience stores from August 2017. They are also available in bars, pubs, and restaurants. Don’t wait to get one (or more!) because there’s a special introductory price from RM5.80 per can and this is only for a limited time. Follow the Apple Fox Facebook page and Apple Fox Instagram for all the latest update. You can also visit the Official Apple Fox website for more information. If you’re about to grab a Apple Fox Cider to enjoy with your friends, don’t forget to use the hashtags #WhatTheFox and #AppleFox.